Director Corin Hardy sat down with us on the day after the world premiere of his first film ever, The Hallow, starring Joseph Mawle and Bojana Novakovic as a couple who finds themselves fighting for their family’s lives against a race of ancient spiritual beings in a remote forest of Ireland. 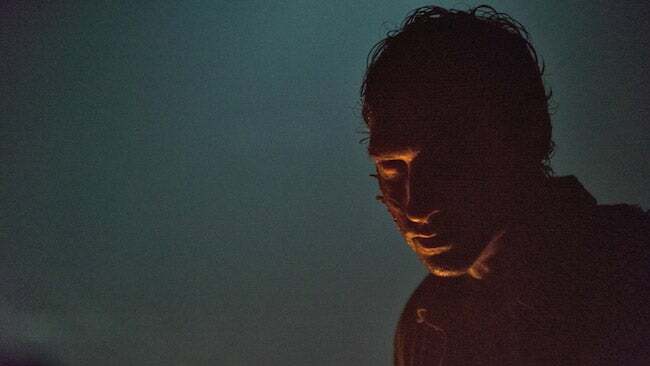 ComicBook: So at the beginning of The Hallow, it’s clear that the scares come from both a mix of fairytale horror and science-y horror. What inspired you to go down that road? 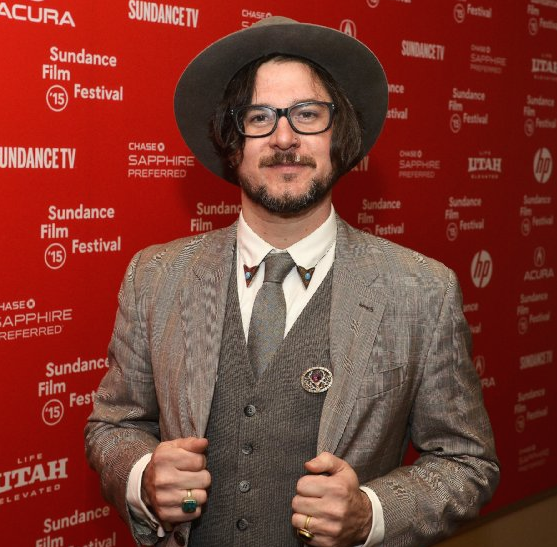 Corin Hardy: I was trying to see what it would be like to make a kind of contemporary fairytale that isn’t overly gothic. I mean, I love fairytales. I used to read them as a child. I love monsters and creatures and wanted to do a movie that had some element of that in it, but I didn’t want to repeat. So it was like, what about actually telling a fairytale story, but trying to put it in a grounded reality? I’m a big fan of a lot of ‘70s movies like Straw Dogs or Deliverance or Rosemary’s Baby or Don’t Look Now, and The Thing and Jaws and Alien are my favorite films, and Evil Dead, so it’s sort of like, how can I tell a fairytale that isn’t for children, isn’t magical or gothic, but is also exciting within our reality? As a kid, I was obsessed with monsters and Ray Harryhausen’s creations, and I wanted it to be real. So a part of making this film was to see what it would be like to get these creatures into our world. But to get the tone in the script, it was quite difficult, and it took a while to get the balance right between those two things – fairy mythology and folklore; and science and nature and infection and forests. If it went too far in one direction, like too magical, then I had to sort of like pull myself back. If it went too far into science and nature and became too science-y, then it would become a bit bogged down. So it was about trying to find a spot in the middle. CB: Can you explain, to someone who’s totally uninitiated with any of the folklore, what in the movie is accepted myth and what you expanded on, besides the biology? CH: First of all, there’s so much folklore out there and around the world. Ireland seemed like a really good place to base it. I’m from England, and that didn’t seem to have such potent folklore. There is more in Scotland, Wales, and other far-reaching places, but every time I went to research, everything sort of came from Ireland. And there’s a thing called the Book of Invasions, which is kind of an interesting thing. There are different theories on it. It’s an ancient text, and there are two Book of Invasions’s. One of them is more mythological and the other is more grounded in reality, which was kind of a revelation as well. It’s to do at first with life that came to Ireland and one book is to do with the Tuatha Dé Danann, which were a race of pure beings that are kind of like fairies. There’s the invasion of man, and they get driven out of their lands. I kind of took ideas from that, and then imagined a link into our story, which is this race being driven into the forest, into the rot and the dark. It’s almost like their DNA got into nature and turned dark and wanted to revenge itself against man, so through the years– I’d really like to do a graphic novel of this stuff. Folklore, there’s a lot. You can go so far with it. So the idea was to link it to nature’s revenge. This thing that will try to attack man and turn him on itself. And then tying in the links of folkl ore and coming back to a lot of horror movies having “the book” in them, the Book of the Dead, or the Necronomicon. I imagine the Book of Invasions is kind of like the first fairytale book. There’s just so much mythology and folklore. You have to choose what you can take and what you can’t. I wanted to tell a story that was pretty reliant on visuals, so if you get too bogged down in the folklore, you could spend a half in hour of the movie trying to explain how to expose a changeling by pouring boiling water into eggshells and putting them on your doorstep and that kind of thing, which wouldn’t translate as well as an iron bar or an infection of the eye. CB: There’s so much beautiful Irish scenery in the film, but I imagine it was inherently scary. You’re in the woods at night, and you’re telling a story about things that go bump in the woods at night. Was it spooky to film? CH: It was. I mean, there are a lot of things you’re concentrating on, obviously. I love that setting, and I kind of personally love being in the woods at night. It was about trying to make the woods feel like a place you shouldn’t go, that there was a barrier. Like – if only they’d just stayed out of there, or if he didn’t go there in the first place. I also wanted it to be as beautiful as possible, because I wanted it to be cinematically exciting and feel atmospheric. Finding the right house was really key. There are a lot of dark corners that things could be lurking in, in that environment. I was really looking for places that had a lot of atmospheric depth and texture, and we used lots of lights and smoke and things like that. CB: Concerning the actual creatures – how did you come up with their look? Is that related to the mythology, or is it kind of a mix? CH: [Laughs.] I think humans are most scared of themselves, but slightly different, as opposed to a completely outlandish creature. Something that’s like us, but gone wrong a bit. I think with that in mind and being aware that I’m in love with horror movies in general, you can see certain things that repeat [in horror films]. So it’s like, I’m going to embrace that but then try and push it, and twist it, and try to keep thinking with a fresh angle, but at the same time, [stay] driven by what was setting up the narrative, like the infection and the forest and the parasitic fungus. It’s basically like trying to have your cake and eat it. Create something that is scary visually but makes sense narratively. If something didn’t make sense narratively, then I couldn’t use it. That’s the rules. I wanted to get to something that had a strange, unnerving quality, so the creatures were designed with in-camera practical effects. We created certain kinds of body suits. CB: Yeah, how did the body suits physically work? Were they costumes, or a lot of make-up, or? CH: Both, the key was to do as much in-camera as we can with old school practical effects, having suits, animatronics, prosthetics, and makeup, which I still think is the most effective, especially when you use visual effects to augment what is there for real, as opposed to starting with like, “well I’ll do it with CG and film nothing.” It’s hard for the actors to act with nothing, and also, to do pure CG really, really well takes even longer and even more money, so it was tough, because we had to prep the shoot and get all of practical effects made, which is what everyone used to do before CG. Then it allowed us to be able to have things in-camera and to shoot them as fast as we could, and then we would augment afterwards. Back to what I was saying about human form gone wrong, I designed a way of the creature performers to have faces, instead of over their [real] faces, up on their forehead and sort of over their heads, so when they were crawling [with their necks bent back], their “head” was able to really look up at you, because there’s only so far your actual neck can bear. And their limbs, I was like, I don’t want to build out from the human form because you get a certain fatness, so I thought up building separate puppet limbs that were connected to the actors’ wrists and shoulder blades, and then painted out their actual arms. So again, using visual effects, so they would seem impossibly slim at times. And then we did a bit of snipping and tucking in post, trying to do subtle things so you’re constantly not really sure what you’re looking at. Hopefully it feels unnerving and strange. With the practical effects thing, I love having limitations, because then you can work to them and do the best you can. If you don’t have limitations and you can do anything, which is CG, you don’t have a foundation. I think a combination of mixing up the techniques is the way to go. CB: I really like the use of noise in the movie, particularly the sound of the cameras winding up towards the beginning, when you haven’t really seen the creatures yet. [Hardy imitates the camera noise.] What were you goals with sound? CH: I hugely think visually and about story and everything, but sound is so important, especially in a horror movie. Generally, there’s the whole atmosphere from the performances of the actors being authentic and tense to the visuals and the cinematography and then to the sound design and score, which really transform the movie. Steve Fanagan did the sound design. We tried to do everything for real, so all the sounds are real sounds that were recorded. The creature sounds the movement, lots of cool stuff that we used. CB: Didn’t you say at the Q&A last night that you did some of the creature sounds? CH: All the creature sounds were myself and four others. Great, fun day. There is an incredible creature performer called Peter Elliot who comes from the same kind of background as someone like Andy Serkis, and he’s a master of creature performance and choreography. He understands those animal movements, and he also does great sound effects. So he turned up with a piece of plastic piping and some milk, and he can make anything sound scary. We sat with the film in front of us, and I kind of plotted out the creature narrative, their motivations. It needed to feel like they were communicating and that they were real characters. They needed to have their own biology, which was sort of narratively driven into the sound. We were just standing there screaming and shrieking and gurgling for a day. CB: So lastly, updates on The Crow? How far is the project? Congratulations, by the way. CH: Thank you, we’re just getting into it. When I got the gig, I was really, really excited. I’m hugely passionate about the Crow character and always have been, going back to the graphic novel. At the same time, I had to finish The Hallow, which I literally just finished five days ago. We’re really just getting into The Crow right now. I’m really excited about it. Thanks again to Corin Hardy for taking the time to speak with us, and check out our review of The Hallow here.